A picture from Jawaharlal Nehru's death, dated on 27th may 1964 shows a person beside him claiming that it is Netaji Subhash Chandra Bose who was alive during that time, and was present beside Nehru's dead body. The story comes with a picture from Nehru's death scene along with a person standing just beside him, claiming that it was the real Subhash Chandra Bose who was still alive, and was present on 27th may 1964 just beside the dead body of Jawaharlal Nehru. The picture is a genuine one, but the person is not Subhash Chandra Bose. This picture is actually taken from a video footage of Jawaharlal Nehru's death that you can see on right. of 110. You can find a series of his pictures in the image section. Unlike Netaji, Dhammavara was a short statured person, while Netaji was almost 5' 10". What made this alleged Subhash Chandra Bose picture so popular is the similarity to Netaji in his young age. You can find one of his similar pictures in the image section which was taken in Kolkata in the year 1934, after his father's death. You can also find some of the historic pictures of Subhash Chandra Bose in the reference section. Therefore, the message claiming that the person in the picture beside Nehru is Subhash Chandra Bose is a hoax. 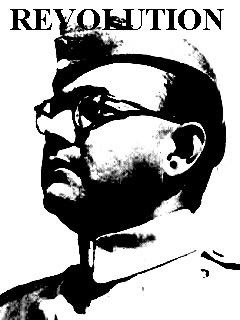 Netaji is alleged to have died in a plane crash in Taiwan on 18 August 1945, years before the death of Jawaharlal Nehru. However, there is some mystery associated with his death till date. Samarat Yogi Maharaj is Netaji. He is more than 100 years old, stands 6 feet and 1 inch and is hale and hearty. He is currently at his ashram at Sitapur in UP. He does not claim he is Netaji, but his writings and speech prove beyond doubt that he is truly Netaji. My grandfather Peshori Lal was posted at Teen Murti Bhawan in the Malaria Cell of the New Delhi Municipal Committee. After his retirement he went to Rishikesh to spend the rest of his life as a mendicant. He had a small cottage to himself and he lived there under the assumed name of Moni Baba Prashar. I remember that during my visit to his ashram, my grandmother mentioned having met a man who looked just like Netaji Subhas Bose. Since she was unsure of the man, she quizzed inmates of the nearby ashram who had interacted with him. They all confirmed that he was indeed Netaji. This man, she said, was in a saintly garb and was spending his life somewhere in the high mountains along with his followers. Mrs.Emilie Schenkl-Bose, wife of Subhas Chandra Bose and my great-aunt had told me in January 1973 that Mr. Raimund Schnabel, a German journalist who had settled down in East Berlin after the World War II had told her in early 1950 that he had been informed that Netaji was in the Soviet Union after 1945. Unfortunately, Mr. Schnabel is no longer alive. Between November 1972 when I came to Germany and March 1996 when Mrs. Schenkl-Bose passed away, she told me on various occasions that she did not believe in the alleged plane crash in Taihoku and consequently did not accept the so-called "ashes" in the Renkoji Temple as Netaji's remains. In 1993, Prof. Bhairab Chandra Bhattacharya of Princeton University, USA came across a letter of Khurshed Naoroji, written to Prof. Louis Fischer on behalf of Mahatma Gandhi. He had sent a photocopy of this letter to my father Amiya Nath Bose and also to Prof. Samar Guha. I have a copy of the same. This letter was kept open while the rest of the correspondence was kept sealed till January 2000. ".....The Indian Army (not the Indian National Army) is no longer of the same temper as it was in the first world war. Besides the disaffection amongst the Indian officers & the rank & file, a revolutionary group has been working amongst them - they are pro -Russian. ...At heart the Indian Army is sympathetic with the Indian National Army. If Bose comes with the help of Russia neither Gandhiji nor the Congress will be able to reason with the country ..."
This letter raises interesting questions as regards the information Gandhi and Khurshed Naoroji may have had on Bose's fate at the time the letter was written. It is therefore advisable to view the rest of the correspondence as well as the personal diaries of Louis Fischer. As he relinquished the post of Chief Information Commissioner, the mild-mannered Wajahat Habibullah gave his parting gift to all declassification enthusiasts. Brushing aside the protestations of the Ministry of Home Affairs, the Central Information Commission has asked it to release 290 records exhibited before Justice Mukherjee Commission of Inquiry which probed the death of Subhas Chandra Bose between 2000-20004. The Ministry has been plainly told to release the records sought "within twenty working days of the date of receipt of this Decision Notice" -- which would mean roughly a month from now. Included in these records are several secret files originating from different ministries. The CIC has left it to the ministry to hold back records whose release the Ministry thinks can affect national interest. But it will have to justify any such step under the Section 8(1) of the RTI act. This seminal order follows a 33-month long tug of war between Endthesecrecy.com’s Chandrachur Ghose and the Ministry of Home, which continues to be overtly sensitive about a case the Government of India and the intelligentsia think got closed 60 years ago. It has always been an another matter that no one from the public side ever wondered why dozens of files about the Subhas Bose mystery remained secret decades after the matter ceased to be politically hot issue. Perhaps some people did, but the right questions were not thrown at those at the helm of affairs. A start was made in 2003 by the people who now run this site. Sayantan Dasgupta sought the exhibits used by a previous commission of inquiry into Bose’s death. The Home Ministry stalled off the matter as long as they could till they were told by the entire CIC Commissioners’ Bench to release the papers. Eventually, they released a few papers, not parting with the most sensitive ones. But even those gave away enough information to reinforce the long-held belief that the commission appointed by the Indira Gandhi government had taken recourse to fraudulent means to prove that Netaji had died in an air crash. Mukherjee Commission overturned that finding but the UPA government had better of it when they arbitrarily rejected its report. The saga of present RTI case began in 2006 when Chandrachur Ghose sought the copies of the exhibits used by the Mukherjee Commission. For a start, the MHA sought 3-6 months' time to examine the security implications of some the documents. Then the ministry suddenly informed Ghose after a year that it had decided to transfer the documents to the National Archives. The Ministry did not, however, mention whether it would transfer all documents to the National Archives or only selected ones. A year and a half later, the process of transfering the record was still in the works. An agitated Ghose took the matter to Chief Information Commissioner. On 4 September 2009 a hearing took place in the chamber Wajahat Habibullah. It was attended by a MHA team headed by a Joint Secretary and Chandrachur Ghose and Anuj Dhar of EndTheSecrecy. Ghose brought on record recent RTI responses from PMO and MoD to punch holes in the MHA's declassification claims. The fact of the matter is that in India there is no declassification to speak of and the National Archives usually doesn't get the custody of even the declassified records. Dhar dubbed as "a red herring" the Ministry's move to send the Mukherjee Commission records to the National Archives. The officials from MHA's Internal Security Division submitted that while they could release the records created by them, those originating from other ministries could not be released by them without others concurrence. Taking the Ministry to task, Habibullah pressed that declassification process could not go on indefinitely. He also cited relevant clauses of the RTI Act stating that although documents might belong to different ministries, the Act is applicable to the 'holder' of the documents. The MHA is the nodal ministry in the Subhas Bose mystery matter. The Chief Information Commissioner reserved his formal order, which has now been released and can be seen on the CIC website. Endthesecrecy.com’s estimate is that the MHA will release unclassified records, holding back classified one. As such, a close to this chapter is still far off. We all wants the TRUTH behind NETAJI'S DEATH BADLY,as this has been already became THE MYSTERY UNSOLVED 4 THE LONGEST TIME IN THE HISTORY OF MANKIND since 18 TH AUGUST, 1945 till date & 67 years is not a JOKE.